Who says that mime is daggy, clowns are scary and only boys can beatbox? 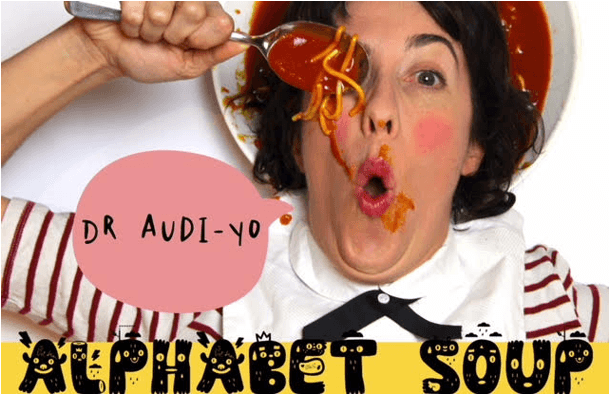 Dive into this surreal adventure with Dr Audi-YO (star of Ruby’s Wish) as she uses her magic looping jacket and your imaginations to take you on a journey into her Alphabet Soup. This all ages show promises to kick your imagination into overdrive. It's Dr Suess meets The Umbilical Brothers meets Mr Bean.